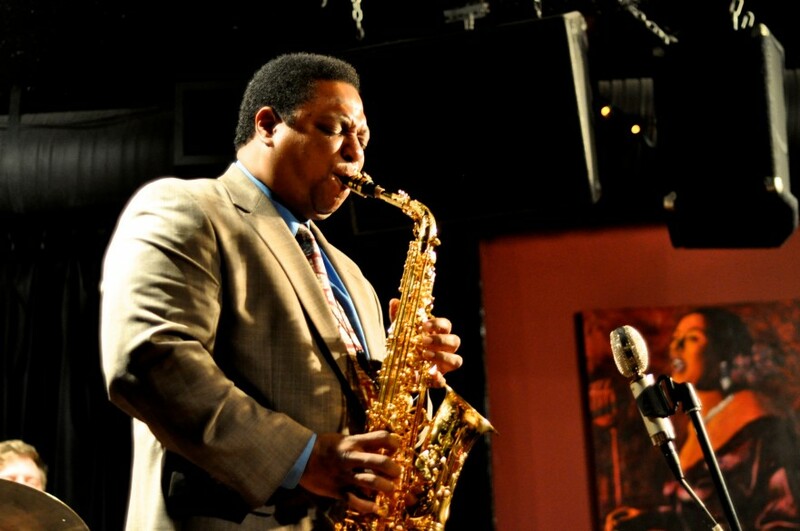 Vincent Herring (born November 19, 1964) is an American jazz hard bopand post-bop saxophonist and flautist. Herring’s formal musical education began at age 11, when he started playing saxophone in school bands and studying privately at Dean Frederick’s School Of Music in Vallejo, California. At age 16, he enteredCalifornia State University, Chico on a music scholarship. A year later, Vincent auditioned for a spot in the United States Military Academy band Jazz Knights playing lead alto sax. He made the move toWest Point, which turned out to be a steppingstone to the New York jazzscene. Since first touring Europe and the United States with Lionel Hampton‘s big band, Herring has worked with Nat Adderley, Art Blakey and The Jazz Messengers, The Horace Silver Quintet, Jack DeJohnette’s Special Edition,Larry Coryell, Cedar Walton, Freddie Hubbard, Dizzy Gillespie, The Mingus Big Band, Nancy Wilson, The Roy Hargrove Big Band, Arthur Taylor, Dr.Billy Taylor, Carla Bley, Phil Woods Sax Machine (a band augmenting Woods’ regular quintet to an octet with three additional alto saxophonists). Herring has appeared as a special guest soloist with Wynton Marsalis atLincoln Center as well as with John Faddis and The Carnegie Hall Big Band. Herring has taken bands to Japan and Europe on several occasions and has appeared in nearly every major jazz festival in the world. He is also involved in jazz education, giving clinics throughout Europe and the United States. Herring has recorded 15 CDs as a leader and over 200 as a sideman. He plays Yanagisawa saxophones i.e. a gold-plated A991 alto and gold-plated S991 soprano. His mouthpiece on alto is a prototype of the Vandoren V16, size 5 opening with a small chamber. He plays on Alexander Superial DC reeds, size 3½.